Whether you are looking for your first job or the next job in your career path, you’ve come to the right place. The SSP America team has created an environment where you can truly grow into the career you were meant to have. At SSP America we offer a variety of career paths—all essential, important positions responsible for delivering our Passion Principle directly to our passengers. 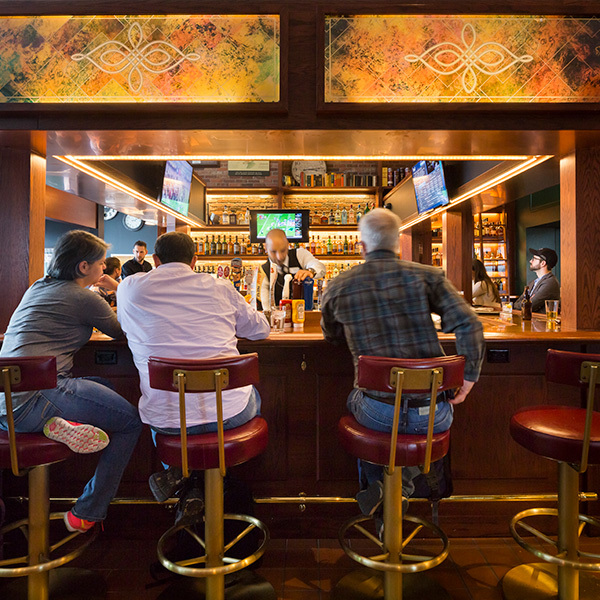 Consider a wide range of positions from bartender to barista, cook to cashier as your next career step. Our Passionate Heroes greet, serve and conclude each passenger’s visit at one of our restaurants. They are our brand ambassadors who truly deliver an authentic brand experience every day. You make the first impression. You have the honor of greeting, seating and caring for our important guests while maintaining a sense of organization in our busy restaurants. You are the living embodiment of the brand. 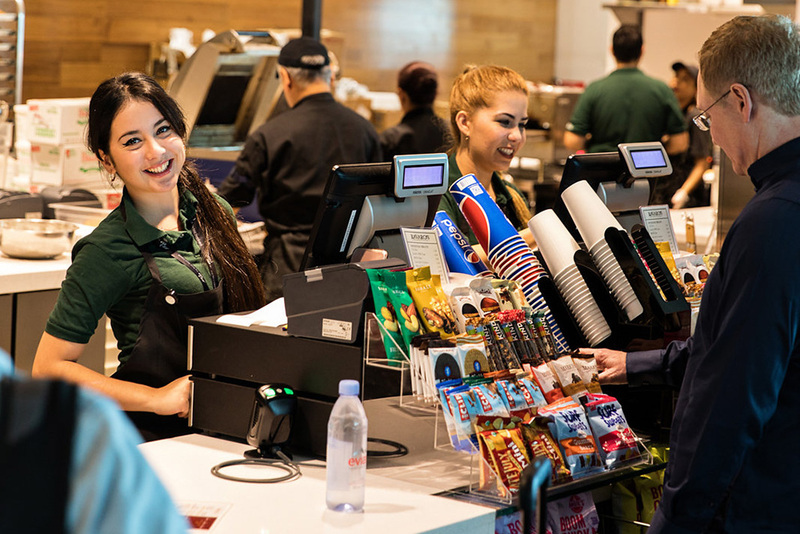 You are tasked with carefully taking each guest’s order, serving them the drinks and food they need to make their travel more enjoyable, and then, concluding their visit by processing their payment. Your position is essential to hurried passengers trying to catch their flight. So you must move efficiently and with tremendous attention to detail to enter each guest’s order and accurately settle their bill. Your final gesture is to wish them safe travels as they head toward their gate. You are an expert multi-tasker because you make and prepare, serve and sell coffee, beverages, baked goods and more. You also keep your restaurant fully stocked and impeccably clean and approach each passenger with a warm smile and helpful personality. You are a master mixologist able to prepare just the right recipe for busy and hurried travelers. 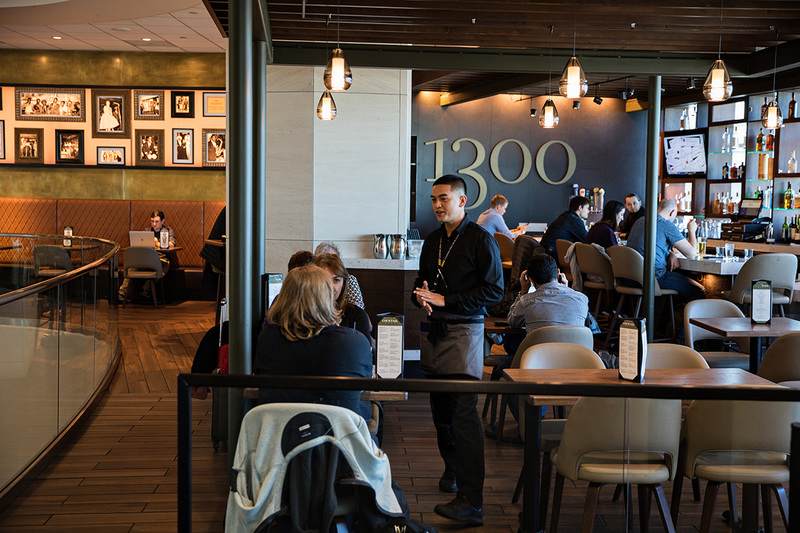 From soft drinks to cocktails, cold brews and wines to a warm cup of joe, you are a friendly face in a busy terminal. Your major responsibilities include taking orders, interacting with guests and settling their bill. Our culinary team is the heart and soul of our business and as a cook you prep and organize the ingredients, assemble each carefully crafted recipe and receive vendor deliveries. You serve up the food from the food travel experts. It doesn’t get more important than that at SSP America. The Hourly Supervisor is a master conductor making sure the team is present, accounted for and ready to play their part. You also encourage, inspire and lead our important team members who are the face of our brands and company. It takes a village to run a restaurant and at SSP America we are always on the lookout for invaluable team members. These leaders are true professionals able to keep our teams and processes organized. Positions include, but are not limited to Administration Assistant, Human Resources Assistant, Payroll Clerk, Cash Room Attendant and more. Preparing and serving food for thousands of travelers each day requires a tremendous amount of equipment and tools. You are the caretaker of these important resources. Your attention to detail and care for our equipment and facilities ensure we keep the teams cooking and serving up an authentic culinary experience. Great restaurants are clean restaurants. And, we love a clean restaurant. 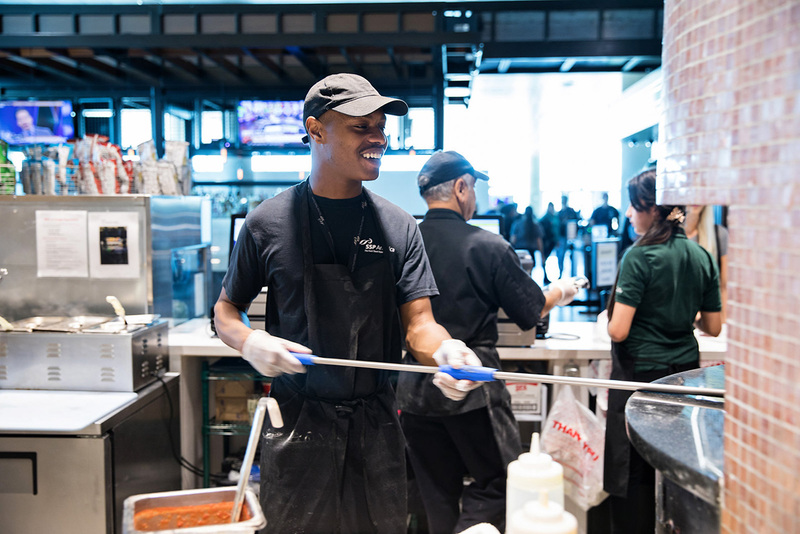 As a Utility Specialist, you make sure that the front and back of the house are impeccably clean so our food and beverage is produced in a high quality environment. As the Food Travel Experts, we believe your training and development are key ingredients to creating a successful career. To ensure we do our part to help you achieve your career goals, we provide a wide range of customized training and development programs. This is our service promise to guests. 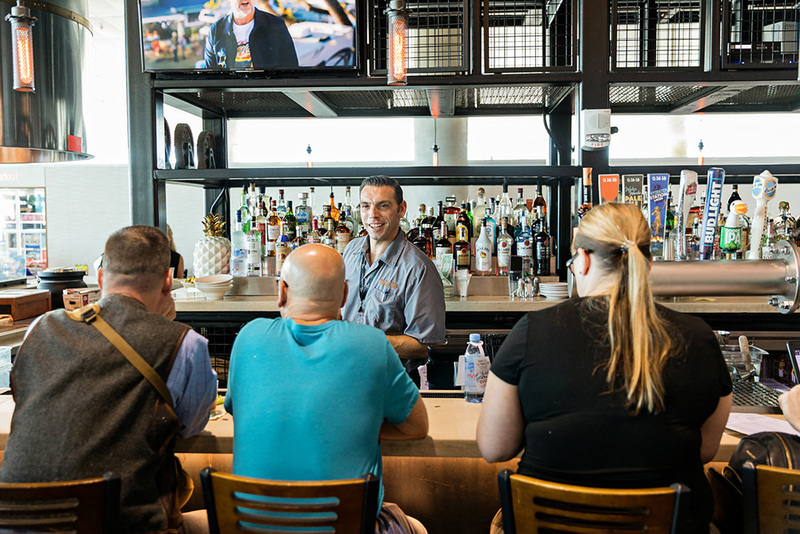 Whether a guest purchases a bottle of water or a three-course meal, we train each of our employees to deliver an authentic hospitality experience. Our Guest Service Excellence program teaches you about our service expectations, upselling and approach to hospitality. What’s more, our guest service training will help you become a valuable member of the SSP America team. We understand our success comes from creating a culture of teamwork, respect and responsibility. 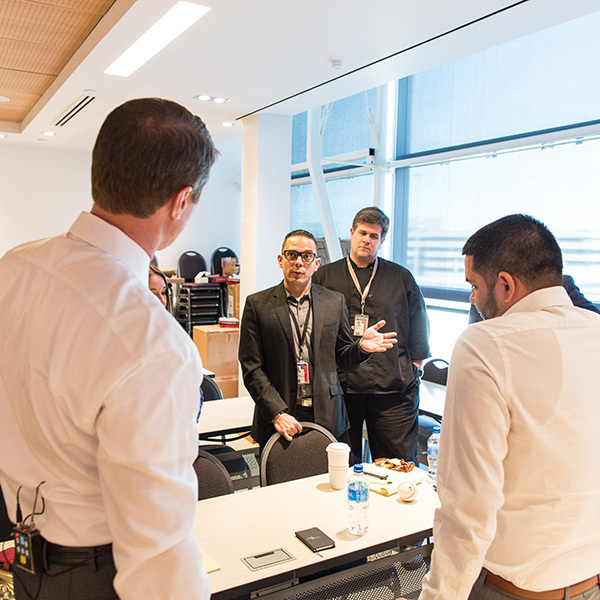 And, when you join the SSP America team, you will receive training that ensures you understand our culture based on the PASSION Principle. We also walk through the realities of air travel in the 21st century, the competitive landscape and growth of our company. 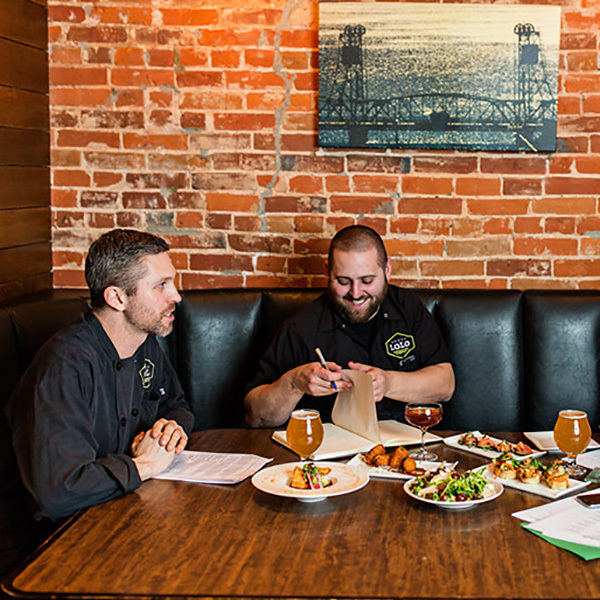 Our ultimate goal is to build a team of passionate employees who share common values and commitment to hospitality. Your success is, in part, determined by the tools available to you. At SSP we understand the importance and value of providing you with quality training and giving you the opportunity to develop and grow. Through our e-learning and on-the-job training we train on subjects such as food safety, responsible alcohol service and more. Our ever-growing library of training content is designed to not only help you become a “Food Travel Expert” but, to also give you every opportunity to take your career to the next level. SSP America believes the greatest source of new managers is our internal associates. So we challenge you, and all of our employees, to advance your knowledge, polish your skills, and look toward the horizon to achieve your potential. We support your growth through our developmental site, Academy Live, which houses multiple types of learning aids and mediums. Additionally, SSP America is focused on succession planning for aspirational associates through its succession planning program, designed to provide personalized guidance in developmental activities. We are continually searching for our future leaders amongst our ranks. We are on the lookout for individuals who want to impact our business as we grow and expand. Our passion and commitment to your growth is supported by monthly webinars focusing on behavioral, technical or performance skills. To complement the monthly webinars, we also conduct quarterly improvement sessions that focus on high performers potential advancement and the sharpening of their leadership qualities. At SSP America we believe if we take care of our employees, our employees will take care of our passengers. That’s why we offer competitive benefits, and our first source for filling management positions is our internal team.